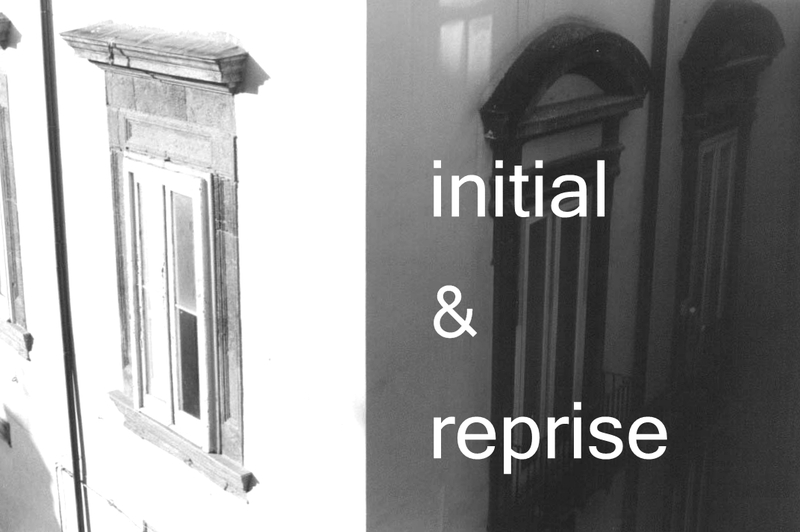 For Initial and Reprise three works will be presented, each with two parts, one verbal and one audio-visual. Each part explicates and exemplifies the other. The works concern visions – ecstatic, dreamt, utopian – what has been and what is to be done with them: decoded, co-opted and ejected, what remains is negotiation, that is, initial and reprise. SUNBEAM and FOREST exist inside an interminable argument which takes place at the level of the forest floor. They argue over who forms the ultimate frame for their ongoing dialogue. This work switches on and off through various iterations as SUNBEAM slips into periods of silence and then ‘reawakens’ in new ideas. 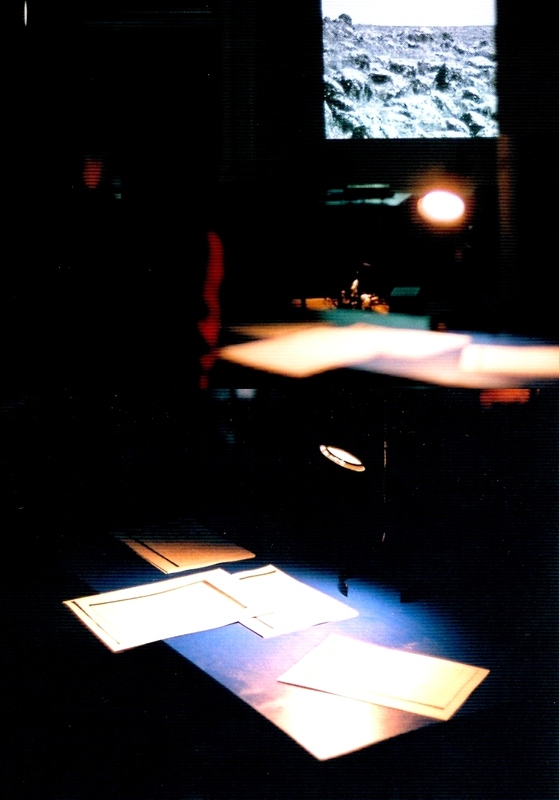 Performances throughout the exhibition; texts in the space to take away. In response to David Berridges request to participate in his research project concerning WRITING/ EXHIBITION/ PUBLICATION, Onomatopee proposed to realize a participatory work; a tablecloth utilizing a grid of information and about some of their projects related to this quest. Books posited upon this cloth enable participants to experience and engage with the parameters involved! Onomatopee operates in between theory and praxis, in between design and art, combining sense and sensibility. Operating this way, Onomatopee often releases progressive textual communication as part of this play. The sum of their projects parameters wishes to create a vibrant, coherent yet fragmented, overview on such specified fields of designed culture, linking up knowledge and experiences. COMING UP: Phil Baber will be working in WRITING/EXHIBITION/PUBLICATION on 22-24 September, exploring relations of installation, essaying and geology. He will launch the work on the 25th, and also participate in the LemonMelon Publishing Seminar. See here for the full line up which also includes a performance lecture by seekers of lice, and contributions from James Davies/ If P Then Q and Marit Muenzberg/ LemonMelon. Some of the projects unfolding throughout the month of WRITING/ EXHIBITION/ PUBLICATION do not feature in a list of public events. Press Free Press’ A TIME FOR WORK will conclude with a performance on the final weekend, which is one part of a project that sees Ryan Ormonde and Becky Cremin working writing-shifts in the gallery every day, in response to instructions received from their collaborator-employers. So I’ve been trying to approach the birds via the smoother detours of other non-writing practices: human practices rather than avian ones, but physical, material, manual practices distinct from writing by their direct interaction with the physical properties of the world. Writing like bottle collecting. Writing like potholing. Writing like ornithology. Writing like repairing drains… manhandled into instructions for writing. Pippa Koszerek continues to document the event in shorthand; Hammam Aldouri is coming to the space to find out what tasks Helen Kaplinsky has asked him to perform as part of their contractual arrangement (you can read the contract on the gallery wall); and myself and Marit Muenzberg have also been working in the space on our book project BIG LUSH NIP, a pseudonym for the FESTIVAL OF NEARLY INVISIBLE PUBLISHING.